It’s that time of year. The time for buying presents, making wish lists, and planning New Year’s Resolutions. If any of those activities involve books for you, Indie Christian Authors has a perfect event for you. From Nov 27 (that’s today!) 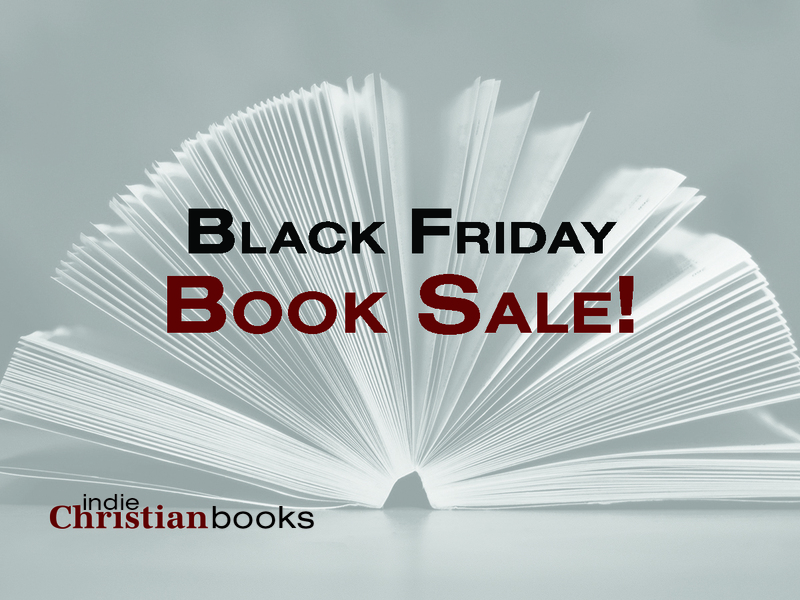 through Nov 30th, more than 70 independent Christian books are on sale. You can find free shipping, $0.99 ebooks, package deals, and more! And if your budget is depleted from Christmas shopping, they’ve got you covered with some freebies Think 70 books is overwhelming? Narrow it down and find the perfect books for you or someone on your Christmas list by using this quiz to generate a customized book list. What awesome reads of 2015 are you grateful for? What books are you looking forward to reading in 2016? EDIT: Oops! All the links should be working now! Enjoy browsing the sale! I thought The Detection Club was the best thing ever when I first heard of it--a club of Golden Age mystery authors that included Agatha Christie and Dorothy Sayers? with GK Chesterton himself as the president? but I had never heard of The Floating Admiral, which was a simply terrific idea: a detective novel written round-robin style by the entire Club, each member in turn being required to provide the next chapter of the story along with a sealed solution explaining the solution to the whole mystery. As an entertainment for the Club itself, it must have been pretty terrific. As a curiosity of detective fiction for the Golden-Age detective fan, it's also a great read. The plot is pretty similar to every other detective story, with the exception that the last chapter goes on and on (and on) as the last poor author attempts to tie up all the loose ends. The subtle shifts in tone, characterisation, and so on, are all fun to watch as each new author steps in to continue the story. GK Chesterton himself contributed a Prologue to introduce the whole story, which is as brilliant and dreamlike as everything GKC wrote. Of the major contributors, Dorothy Sayers stood out as the best author. Ronald Knox, writer of the famous 10 Commandments of Detective Fiction, is an author I wasn't familiar with, whose chapter also seemed one of the better contributions. This book has whetted my interest, and I think I'll be looking up some more of his work in the future. The solution of the mystery provided in the final chapter was pretty ingenious, though extremely complicated (as necessary considering the crazy clues). It was followed by the solutions which the authors were each required to provide, and I'm sorry now that I didn't read each author's solution immediately after his or her respective chapter, since they might have been more meaningful that way. All in all, this was a fun read which introduced me to some new authors and stands for the future as a delightful record of one of the great literary clubs of the twentieth century. I woke up one Sunday morning not too long ago feeling a need to read something extremely common-sensical, forthright, merciless, and edifying. For me, the go-to author when I want to read something of this description is Jane Austen. This may surprise those of you who are sick to death of girls who wear out their Pride and Prejudice DVDs swooning over the romantic dance scenes. But what I have always encountered in Austen's stories is not swoony romance but in fact a confronting picture of human sin and folly (I even made a Which Jane Austen Character Are You REALLY? quiz to underline that fact). If you actually read her novels, you'll find that she is witty, she is sharp, she is a merciless realist. As a matter of fact, I once heard that the Victorians considered her novels only suitable for men on account of their severe rationality. 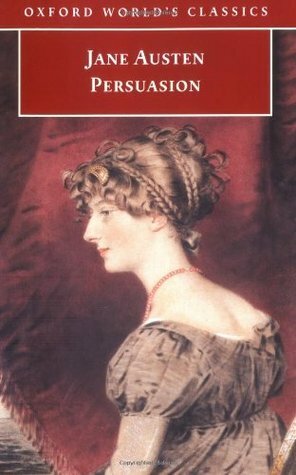 For years Persuasion was my favourite Jane Austen novel. That changed a few years ago when I re-read Mansfield Park, and realised what a profound and insightful book it was. I was curious how Persuasion would compare when I came back to read it again. In Persuasion we meet one of Jane Austen's most likeable heroines, Anne Elliot. Like Fanny Price of Mansfield Park, Anne is a quiet, unappreciated heroine who is often the voice of reason among a host of clueless supporting characters. Like Elizabeth Bennet of Pride and Prejudice, she's got a spark of irreverent wit. But Anne is unique in that she's a good bit older than any of the others, and the romance of her life did not have a happy ending. At twenty-seven, love is something which Anne looks back on wistfully, to when she was nineteen and in love with young naval officer Captain Frederick Wentworth. Sadly, not only did her conceited father, Sir Walter Elliot, baronet, disdain to be connected with a naval man, but Anne's mentor and mother-figure, Lady Russell, also intervened to persuade Anne to break off her engagement. Since then, Captain Wentworth has been fighting in the Napoleonic wars, and Anne has been nursing her broken heart in silence. All this changes when the war ends, bringing an influx of Navy men--now wealthy and distinguished--back to England. Meanwhile Anne's family has fallen on hard times. Sir William refuses to cut costs, instead choosing to rent his country mansion to Admiral Croft, one of the returning officers. As it happens, Anne knows of Admiral Croft--he's married to Captain Wentworth's sister. Soon, Anne and Captain Wentworth are moving in the same social circle...with an ocean of awkwardness and hurt feelings lying between them, to say nothing of the Captain's apparent intention of courting bright young local thing Louisa Musgrove. With Anne both unable and unwilling to express the love in her heart, is she headed for a second, even more final unhappy ending? Or is there hope for a second chance? In some ways I was surprised this time around to note how much more like a romance novel this book is than any of Jane Austen's others. It's fairly brief compared to Emma, for instance, which is nearly twice the length, and that means that the plot focuses closely on the awkward, indirect relationship between Anne and Captain Wentworth. Austen's other novels spend more time on subplots, and Emma, for instance, has much more to do with it's heroine's journey through repentance to maturity, than it has to do with her relationship with Mr Knightley. Persuasion, on the other extreme, has no significant plot arcs among the supporting cast, and its heroine already seems to have learned the majority of her life lessons in the backstory. This means a more concentrated, almost claustrophobic focus on the progress of the relationship itself, an effect which is heightened by the fact that Anne is forced to keep her feelings and thoughts mostly to herself for much of the story, partly because she cannot possibly voice them under the circumstances, and partly because no one is interested in hearing them. In his terrific study guide to all Austen's major works, Miniatures and Morals: The Christian Novels of Jane Austen, Peter Leithart points out a unique aspect of the romance in this book. Most romance stories keep the two main characters apart either through outside force or by some internal misunderstanding or prejudice. Both of these are problems that can be solved--you might elope to evade the feuding families, or someone might come into the situation and show the characters to each other in their true light. In Persuasion no outside force is keeping the main characters apart: it's clear that Anne has matured enough to make up her own mind and will not be persuaded against Captain Wentworth again. The interior opposition is almost insuperable, not because they no longer have feelings for each other (they clearly do), but because of the hurt and awkwardness that carries over from their past. Actual interaction is nearly impossible. The result is that they are forced to relate to each other indirectly, through intermediaries. Anne discovers Captain Wentworth's reaction to her breaking off the engagement through eavesdropping on a conversation he has with Louisa Musgrove--but at the same time, she (to say nothing of the reader!) is heartened when he makes kind comments about her to others. Anne goes on to prove her worth to him through a number of indirect means: from her quick and clear-headed reaction to Louisa Musgrove's accident and her advice on how to break the news to Louisa's parents, to the conversation with Captain Harville at the end in which she makes it quite clear to the listening Wentworth that she may have been persuaded to break off her engagement with him, but she continues to love him as much as she ever did. In other words, the romance in Persuasion is both a good bit more prominent, and much more suppressed, than the romances in most of Austen's other novels. Leithart describes the tone of the story as "autumnal" and points out that most of the first half actually occurs in November. It's a very wistful, poignant story, with its rich backstory and unexpressed emotion. Of course, one should hardly review Persuasion without saying something about the theme. But then, it's right there in the title. It is the title. All you have to do is grab your highlighter and highlight every time the word crops up. Persuasion, and the ability to be persuaded, is the bone of contention between Captain Wentworth and Anne. She allowed herself to be persuaded to break off the engagement, and he is not quick to forgive. His flirtation with Louisa Musgrove seems likely to become serious when she boasts of not being easily persuaded against something she's set her mind to--and then ends entirely when he realises he has encouraged her into a piece of foolishness that nearly claims her life. This (the Midpoint, actually, of the novel, for those plotting nerds who are with us) is what causes Wentworth to reconsider his prejudice against persuasion, and by extension, to reconsider Anne. Meanwhile, as Leithart points out, Anne's conversation with Captain Harville at the end serves to make it clear that in one sense at least she has been unpersuadable: she has never given up loving Wentworth. Anne proves, in other words, that she is both able to be persuaded, and able to remain constant. It's an interesting aspect of the book that Austen doesn't criticise Anne's persuadability. Persuasion and the capacity to be persuaded ends up coming out in a better light than stubbornness. While it's important that Anne should have the firmness of character to be constant rather than fickle in her emotions and her religious principles, it's also important that she be able to hear reason, or to use her own persuasive powers to smooth out possible disturbances or disruptions in social life. Persuasion, Austen concludes, is good or bad--depending. Anne explicitly comes to the belief that she could not have known that it would turn out to be a bad idea to accept Lady Russell's advice--and therefore she should not have acted differently, knowing what she did at the time. Interestingly, some years before writing Persuasion, Austen wrote to one of her nieces, Fanny, to persuade her also to break off a relationship. The niece, like Anne Elliot, was contemplating entering into an open-ended engagement with a young man who did not at that stage have the means of providing for a wife. Given that Austen believed her niece not seriously in love with the man, she strongly advised breaking it off. Persuasion could be seen as the story of what might have happened if the persuadee in such a situation really did have strong feelings for the man. In contrast to the virtues of persuasion in small, social, or unforeseeable things, Austen also gives us a clear picture of the virtues of firmness and constancy in important things. This goes beyond Anne's inability to move on from Wentworth. In this book Austen was not trying to excuse stubbornness of the kind that would refuse to move on from an obviously impossible attachment. She was quite capable of poking merciless fun at such silliness, for example in Emma through the character of Harriet Smith. Rather, Anne's constancy does her credit because of who Wentworth is, especially in comparison to the other men she is surrounded by. He certainly knew what was right, nor could she fix on any one article of moral duty evidently transgressed; but yet she would have been afraid to answer for his conduct. She distrusted the past, if not the present. The names which occasionally dropt of former associates, the allusions to former practices and pursuits, suggested suspicions not favourable of what he had been. She saw that there had been bad habits; that Sunday travelling had been a common thing; that there had been a period of his life (and probably not a short one) when he had been, at least, careless in all serious matters. As I mentioned in my review of Mansfield Park, Austen speaks of religious matters with great seriousness, but in veiled language that modern readers are apt to misunderstand. All the same, the reference to Sunday travelling is a fairly obvious clue that Anne Elliot should be taken to be a sincere Christian serious about setting aside the Lord's Day for rest and worship: it is an insuperable mark against this potential suitor that he evidently does not "remember the Sabbath day, to keep it holy". Likewise, "serious matters" is one of Austen's code words for "Christian faith". She is saying that Anne believes Mr Elliot to be either an unbeliever or not serious enough about his faith to merit her love. The tone, the look, with which "Thank God!" was uttered by Captain Wentworth, Anne was sure could never be forgotten by her; nor the sight of him afterwards, as he sat near a table, leaning over it with folded arms and face concealed, as if overpowered by the various feelings of his soul, and trying by prayer and reflection to calm them. Anne's firm attachment to Captain Wentworth, in other words, and her refusal to be persuaded into transferring her affections to Mr Elliot, must be understood in the context of their respective characters. Captain Wentworth is a man of sincere faith, which impresses Anne deeply (as it ought); Mr Elliot is a man of low moral fibre, which repels her deeply (as it ought). There's another aspect of Captain Wentworth's character which is favourably contrasted to one of the men surrounding Anne. Anne's father Sir Walter is an excessively vain man, and Austen reinforces this vanity and conceit in a hundred ways throughout the novel, from his shameless grovelling before his titled cousins to his inability to show gratitude to the Navy men for making his life of ease and self-indulgence possible. Perhaps the most telling moment comes when he lets his house to the lower-status but infinitely wiser Admiral Croft, who remarks that he had to get rid of most of the mirrors in the baronet's dressing-room: "there was no getting away from oneself." Besides persuasion, the novel's next main theme is obviously the difference between the old landed aristocracy--mercilessly skewered in Sir Walter's person as conceited and coddled--and the rising meritocracy of the landless Navy, lauded in the persons of Captain Wentworth, Admiral Croft, and the others as upright, courageous, self-sacrificial, and hard-working men of action. The Navy was also used in Mansfield Park as a symbol of hard work, courage, endurance, and nobility, in the comparison of Fanny Price's responsible young brother William with the vapid dilettante Henry Crawford. This makes perfect sense when you realise that two of Austen's six brothers joined the Navy and distinguished themselves during the Napoleonic Wars. The Navy thus becomes a kind of shorthand in Austen's writings for true nobility rising out of hard work and self-sacrifice: she is clearly bursting with pride in her brothers. Though it's commonly complained by those who have only a superficial familiarity with her works that Austen was herself a vapid dilettante preoccupied with balls, amusements, and titles, she has never deserved such a slander. In Mansfield Park we had a taste of her notions when she unfavourably compared the idle Crawford with the diligent Price; Persuasion is in some ways a book-length and even more ruthless re-statement of the same opinion. Persuasion, Austen opines, can be a good thing. It can smooth over social difficulties. It can be applied by wise older mentors wanting to protect their proteges from risky decisions. But it should never be allowed to seduce us away from a firm and principled love for right conduct and hard-working merit. Persuasion vindicates its humble, but steadfast heroine, for being firm exactly where she should be, and pliable exactly where she should be, despite the disapproval from time to time of all the people she loves and respects most in the world. Finding that balance between firmness and flexibility is one of Lady Wisdom's most delicate arts...and as always, I come away from this Jane Austen novel feeling that I have had a wonderfully deep and illuminating time learning from that lady. I highly recommend that you rush out right now and find Persuasion on Amazon, The Book Depository, Project Gutenberg, or Librivox! I have seen one film adaptation of Persuasion, the 1995 Amanda Root and Ciaran Hinds production, which I recall as being practically perfect in every way! Some of you will know about my next fairytale novella release, The Bells of Paradise, which is coming sometime in the New Year. I'm so happy about this story, which is a Faerie Queene and Tam Lin mashup retelling the beautiful yet obscure fairytale Jorinda and Joringel IN SPAAAAACE TUDOR ENGLAND! Now some folks have been asking me when I plan to release The Bells of Paradise and the original answer was going to be sometime this month. However, some last-minute plot tweaks inspired by one of my wonderful (and highly discriminating) beta readers meant the release got postponed. Beside plot tweaks, I also decided I should put some study into fleshing out the setting. Sure, I was pretty much marinated in Shakespeare and Spenser, so imagery and dialogue were easy enough to reproduce. But as for the everyday details of life in Elizabethan England--well, Shakespeare set most of his plays in Italy, and Spenser was writing secondary-world fantasy. Things like rushlights, oriel windows, mirrors of Venetian glass, coffered ceilings, and leaving out a dish of milk on the stoop for the Lordly Folk don't get mentioned much in the period literature. 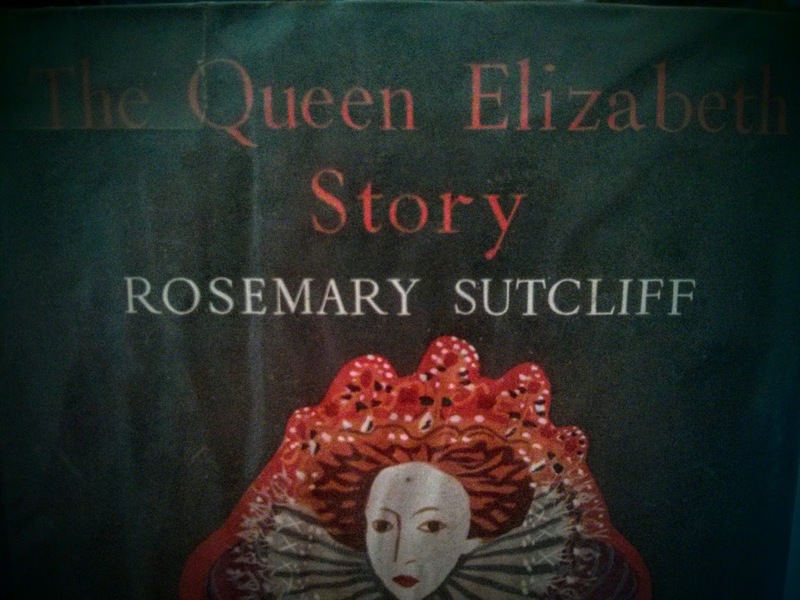 That was why I decided to read Rosemary Sutcliff's The Queen Elizabeth Story. Now most people aren't going to be interested in this book as an author looking to improve historical accuracy in her setting. So I will just quickly say that this book provided all the detail I needed and far, far more. Beyond this, parents wanting to introduce their children to the story of Elizabeth I and provide them with a vivid, evocative, and historically-accurate picture of their times can hardly do better than this. Sutcliff uses her story as a framework to explore aspects of Elizabethan life from food and clothing to seafaring and festivity. There was so much to love about The Queen Elizabeth Story. Besides the immersive vividness of the setting, there's also the gentle and compelling story, peopled with charming and likeable characters. Perdita is a sweet heroine, her family and friends are equally charming, and although the story is more slice-of-live than plot-driven, it pulls you in and holds you spell-bound in the best possible way. Then there's Rosemary Sutcliff's absolutely smashing writing style. This book is simply gloriously written. Her language is clear, simple...and beautiful. Her descriptions of colours must be read to be believed--"a gay, boisterous sort of blue, picked out in scarlet"--or another blue "as joyous as a kingfisher's mantle". This is the first Sutcliff book I've read since I was a philistine teenager, so I don't recall being so impressed when I've read her previously. This book had me sighing in delight on every page. That said, I really liked how Sutcliff used this plot strand to bring out a thoroughly good theme of patience, waiting quietly, and holding onto faith that one's desires have not been forgotten and will be fulfilled. I can imagine many girls, big and little, who would profit from that! 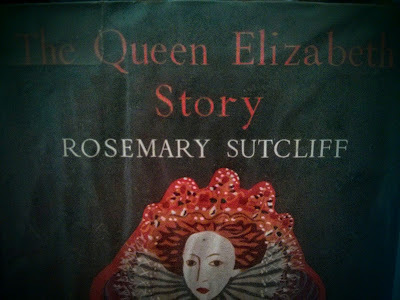 In conclusion, I loved The Queen Elizabeth Story and I think I very much need to revisit Rosemary Sutcliff more often. Sadly, The Queen Elizabeth Story appears to be out of print. Try Amazon or ABEbooks.com. Black Friday Sale + Reader Survey! Hello, folks! I'm interrupting my normal blogging schedule for a quick announcement. Some Christian indie authors are clubbing together to run a Black Friday sale for the end of the month, and I'm thrilled to be a part of it. Keep an eye out here, or sign up to my email newsletter to make sure you don't miss the sale when it happens. In the meantime, we're soliciting feedback from you, our reading public, to help us provide you with the best possible deals! Please take a moment to fill out the form below. Thanks for your help! Those of you who follow me on Goodreads will already have seen this review. However, I've been reading a lot of books lately which I'd love to review for Vintage Novels, and my backlog is growing faster than my once-a-week blogging schedule can keep up with. So, I'll be cross-posting a few of my Goodreads reviews in order to get ahead. Enjoy! I know that before I can claim to know anything about the Templars, I have to read Malcolm Barber's The New Knighthood. That, however, will have to wait till I can afford it. In the meantime, I decided to try The Tragedy of the Templars, half supposing it might turn out to be hilariously bad, but hoping I'd glean some worthwhile facts. This book is readable! Honestly, I'm thrilled that Barber and Hamilton and Edbury are producing such quality work on the Crusades, but you have to acknowledge they can be stiffish reading. Haag's Tragedy of the Templars, on the other hand, combines a formidable level of historical detail with an easy writing style, accessible to a popular audience. It also contains some brilliant myth-busting on the Crusades generally. Haag spends a good deal of time setting the scene before he introduces his heroes the Templars, and this segment of the book was the one I found most useful. Relying heavily on primary sources from both Christian and Islamic perspectives, Haag outlines the history of the Christian East from Byzantine splendour (during which the Negev was irrigated and farmed) through the centuries of Islamic misrule and persecution (during which Christians retained a solid population majority throughout Egypt, Asia Minor, and the Levant), the first prosperous century of Crusader rule (throughout which Palestine saw a magnificent flowering of art and culture), and the very sad decline under the scorched-earth tactics of Saladin and his Ayyubid and Mameluke successors. In the meantime, Haag explodes Mohammed's Night Journey from Jerusalem, arguing that the city's significance as the third holiest city of Islam stems in large part from its importance to Christians and only solidified around 1187. He thoroughly debunks Saladin's status as a Muslim hero--before conquering Jerusalem in 1187 he spent most of his time waging war on other Islamic rulers and was seen as an ambitious empire-builder rather than the champion of Islam. He also draws on a wide range of original source documents to demonstrate that the aid of the Eastern Church was a major motivating factor to the organisers and leaders of crusades. Finally, this book solidly confirmed a number of things I'd gathered from reading other sources. For example, the fact that native Eastern Christians formed the majority of the population of the Near East up until well after the Crusader States fell in 1291. And the fact that the Muslim minorities that did live in the Crusader States were extremely well-treated to the point that the Christian lands became somewhat of a haven for Shia, Ismaili, and other splinter sects persecuted in larger Sunni Islam. And the consistent disregard Muslim conquerors had for the lands under their possession, to the point that the Christians consistently found land which had been under Islamic rule to be depopulated and ruinous, while Muslims consistently found land which had been under Christian rule to be rich and beautiful beyond compare. In all these things, Haag relies heavily on eyewitness evidence from Muslim chroniclers. That said, there was a lot in this book that I found misleading and/or biased. I gathered from reading the book that Haag is a Catholic and a huge Templar fanboy. Consequently, he thinks the Templars' independence from local church authority structures, and their sole answerability to the Pope, the best thing ever. His pro-Templar bias--and I'd have called myself mildly pro-Templar myself--led to some odd distortions of the history. Every time the Templars scratched their noses it's lauded as some tremendous victory; and so we're left with the impression that they single-handedly won Montgisard made the 3rd Crusade a success saved Outremer from an alliance with the Assassins etc etc. And a lot of this Templar cheerleading is done at the expense of the local Frankish nobility, who weren't perfect either but are painted as traitors and villains. Raymond III of Tripoli, for instance, is made the villain of Hattin, and he and Balian of Ibelin are depicted as treacherous deserters (and thinking back, I'm wondering if he meant to insinuate that Balian's missing the battle of Cresson was too convenient by half). They're also described as the only two men in the kingdom who refused to acknowledge Guy of Lusignan's rule, which is demonstrably historically false. It's true that one of the nobles did in fact refuse to swear homage to Guy, preferring rather to bequeath his estates to his family and exile himself to Antioch--but this was Balian of Ibelin's elder brother Baldwin, not Balian himself, who swore fealty to Guy and served him faithfully until the death of Guy's wife, Queen Sibylla, invalidated his claim to the throne. Raymond of Tripoli also initially refused to do homage for his principality of Galilee, but Guy's response--to muster an army and attack the principality--bordered on the insane and left Raymond with little choice but to ally himself with Saladin, a treachery for which all the historical evidence is that he died bitterly repentant. One last dig is levelled at Balian for breaking his oath to Saladin in choosing to undertake the defence of Jerusalem, after having travelled to the city, alone and unarmed, to collect his wife and children, under a safe-conduct from Saladin on condition that he only spend one night in the city. The fact is that Balian only consented to stay and defend the city after he was unanimously begged to do so by its people and leaders, and that he sent his apologies to Saladin, who immediately forgave him the breaking of his oath and arranged safe passage for Balian's wife and children to Christian-held Tyre. (Which was one of Saladin's not-unknown chivalrous actions for which I think Haag gives him too little credit). Finally, Haag tends to gloss over, explain away, excuse, or simply ignore Templar sins. Some of these excuses are reasonable--eg the explanation that the massacre after the 1099 siege of Jerusalem was treated with hyperbole by its chroniclers (who would not have expected anyone to believe tales of the streets flowing with blood up to the horses' knees--a thing more or less physically impossible). Some of the explanations are worth bearing in mind, like the alternative interpretation of the Cresson disaster. Some of the explanations sounded completely specious to me--Templar involvement in the Muslim trade in Christian slaves is something I want to know more about, and not from someone keen to gloss over their faults; while I don't at all consider the slaughter of the Assassin envoys during Amalric's reign remotely excusable, let alone a good thing! I was interested to see what Haag would do to rehabilitate Gerard of Ridefort, the Grand Master whose lunatic advice led directly to the disaster at Hattin and who also nursed a petty grudge against Raymond of Tripoli all the way to the loss of the kingdom. Disappointingly, Haag either omits or skips over these parts as quickly as he can, and then fast-forwards to quote from a foreign chronicler's positive obituary after the Master's somewhat redeeming death in battle. So, in a lot of ways this was a highly valuable book, from which I learned a huge amount. In other ways, I disagreed with it vehemently, and it left me wondering if I could really trust it at all in the parts where I didn't already know something about the history (like the trial of the Templars and the dissolution of their order in the early 1300s). Some of it opened up some fruitful avenues for further research, some of it confirmed stuff I'd learned from more trustworthy sources...and some of it was offputtingly partisan. Conclusion? Still one of the best and most accessible books I've so far read on the Crusades, but don't let him convince you Balian of Ibelin was anything less than a hero. Find The Tragedy of the Templars on Amazon or The Book Depository. I have to admit that the drawcard for me in this book's description was Lady Anne Hamilton, "who rode with the Covenanter cavalry at the decisive Battle of Berwick". Swashbuckling Covenanter lady? Where do I sign up to read about her? And so, even though I keep Vintage Novels on topic with, well, vintage novels, I decided I would write and ask for a review copy of church historian Richard Hannula's latest release, Radiant: Fifty Remarkable Women in Church History. The content, form, and style of this book is not likely to cause riots in the streets. Hannula provides mini-biographies of the promised fifty remarkable women, from the well-known (St Monica, Jeanne d'Albret, Corrie ten Boom) to the obscure (an unnamed Armenian woman, a Mrs Smith of Coventry, the aforesaid Lady Anne Hamilton), all evenly distributed throughout church history from late antiquity to modern times. The briefness of the chapters, the simpleness of the writing style, and the vividness of the storytelling makes this ideal as bedtime reading for children, or quick and easy devotional reading for a grown-up. The real power in this book comes from the stories of the women themselves and the amazing power of God in their lives to sustain them through difficult times. And this is what will have an incredibly impact on the world. At the same time I was reading Radiant I've been working through George Grant's wonderful The Micah Mandate, specifically the chapters on mercy, and the overwhelming emphasis of these good church women on mercy ministry - food, education, political protection - was a real challenge to think about the wider meaning of the Christian mission. Beyond that, it was a real pleasure to meet these women. Hannula provided some details I didn't previously know about women like Saint Margaret of Scotland or Katherine Luther, who seems to have been a terrific character! Luther would occasionally fall prey to bouts of discouragement and gloomy moods. Once, when a depression lasted longer than usual, he left home to visit friends for a few days, hoping that a change of scene might help. It didn't, and he wrote Katherine that he was coming home. When he arrived, he found her sitting in a chair dressed from head to toe in black with a dark veil covering her face. She was sighing and holding a wet handkerchief to her eyes. Luther rushed to her side and asked, "Katherine, what is the matter?" "Only think, my dear doctor," she said, "the Lord in heaven is dead! This is the cause of my grief." Other favourites from this book included the adorable Elizabeth of Hungary, the brave and clever Catherine Parr, the grand tragic story of Margaret Nisbet, and of course Lady Anne Hamilton, "the lioness of the Covenant." None of these women had easy lives, but despite illness, persecution, danger, or depression, they were granted victory in Christ. There were other things I enjoyed about this book. For example, Christianity is not an individualistic or egalitarian faith, and so the lives of many of these great women happened intertwined with the lives of the great Christian men they married, befriended, or assisted in some way. Jonathan Edwards's wife Sarah, Adoniram Judson's wife Sarah Boardman Judson, Samuel Rutherford's correspondent Lady Jane Gordon, and the wonderful Sabina Wurmbrand who told her husband that she would rather he were dead than a coward, are all honoured for their role complementing and supporting their remarkable Christian men. I also enjoyed the overview this book provided of church history through the ages. Many of the details were already quite well-known to me, of course, but it would be a great introduction for younger readers. I was also pleased by Hannula's balanced attitude toward women who espoused causes evangelical Protestants today might not always agree with--he provided gentle criticism from a Reformed point of view while honouring these women's very real faith and perseverance. Radiant also provided an introduction for me to a number of women whose biographies we have, but I had never been prompted to pick them up and read them. Reading this book, and skimming through the bibliography at the back, populated my to-read list with a whole lot more reading which I can't wait to get into, much of it in the public domain. Warmest thanks to Canon Press for supplying me with a free review copy of Radiant! 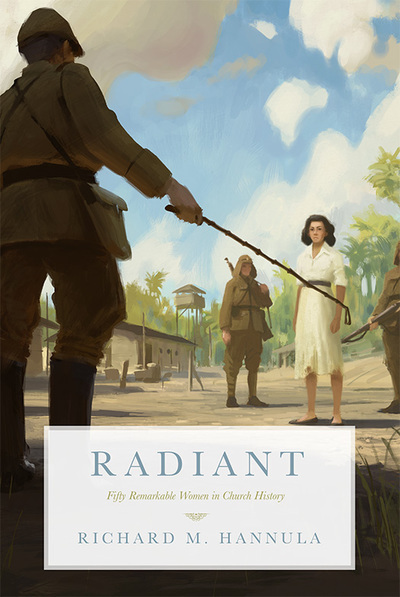 Find Radiant: Fifty Remarkable Women in Church History on Amazon, The Book Depository, or the Canon Press site.